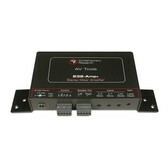 The Contemporary Research 232-AMP+W is a 40 Watt class D amplifier with RS-232 control, take control of your system including gain and input levels. 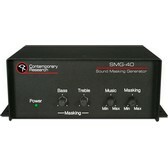 The unit is a compact, programmable mixer/amplifier aimed at integration with flat-panel displays and video projectors. The versatile amp features a stereo line-level display/projector audio input and two mono aux inputs, and outputs stereo sound at 32/40W RMS. 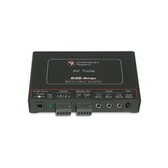 The aux inputs mix levels with the stereo input, and can be set to mute or lower other inputs when active, ideal for wireless mics and paging applications. The 5096-001 now includes right angle brackets to attach your amp to the top of a Contemporary Research tuner. Full RS-232 control and status is available, allowing integration with custom control systems. In addition to setting master gain and input levels, the commands can also set max and minimum gain, and aux input threshold and ducking levels. Installers can adjust performance manually in the field using onboard switches and level potentiometer.